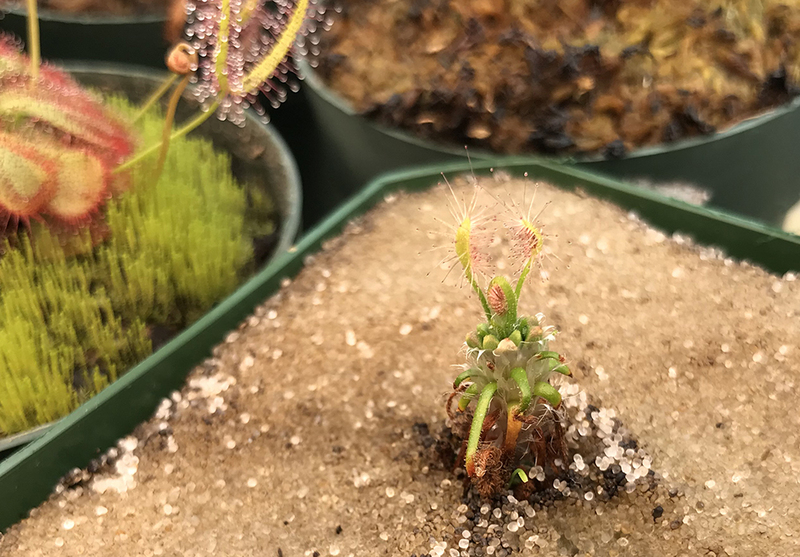 Thread: Is this D. scorpioides gemmae & should I force them off if they don't want to come? 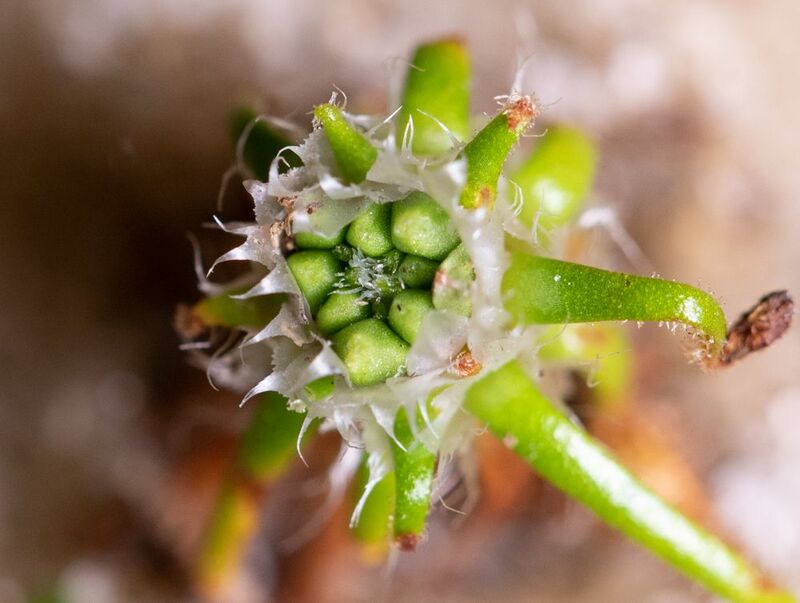 Hey those of you familiar with gemmae ON the parent plant! Thanks for checking in! 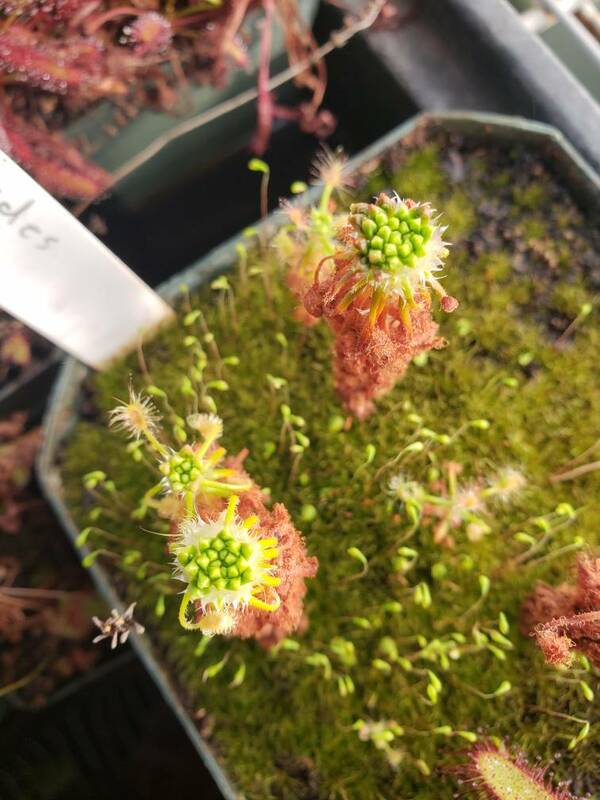 I got a Drosera scorpioides and it must have struggled too much in the shipping or already gone dormant but it looks pretty poor. Hasn't woken up at all since I got it and the top looks almost like gemmae started to form and possibly fully formed. I couldn't tease any of them off and would need to pull them off but I don't want to do that without someone in the know giving me the go ahead. What do you think? Stressed plant, went dormant maybe even dying? If these are gemmae are they going to need more time to get them to crown out of the white hairs like I see in online images or good to take off now with force? I would keep waiting and only forcible remove them if you see them starting to change color like they're dying. I was just yesterday showing my kids how they fly off with the slightest touch, these are what was left that didn't want to come off yet...the whole top was gemmae and the leaves are well down the plant with none even sticky at this point, where yours still has some. Those are a bit premature to remove. The gemmae should be looking very full and come off easily. It is also normal for them to look kind of bad while producing gemmae, I wouldn't worry too much. Awesome! Thanks for the replies guys! Without leaf growth and dew it is hard to tell the plant is adjusting to its new setting. I will definitely wait for it to push out more and wait on the gemmae being ready to go. thanks! So those were or were not gemmae...at least the middle of them continued to be a growth point and I only wish I had better images of it to share. I will soon. Amen! 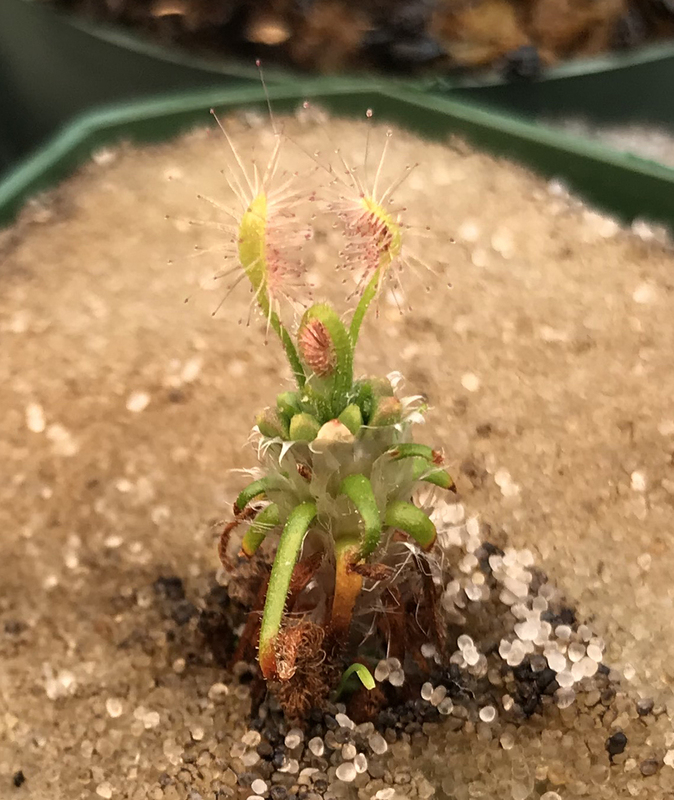 I love the D. scorpioides and so I am so stoked to see it again! 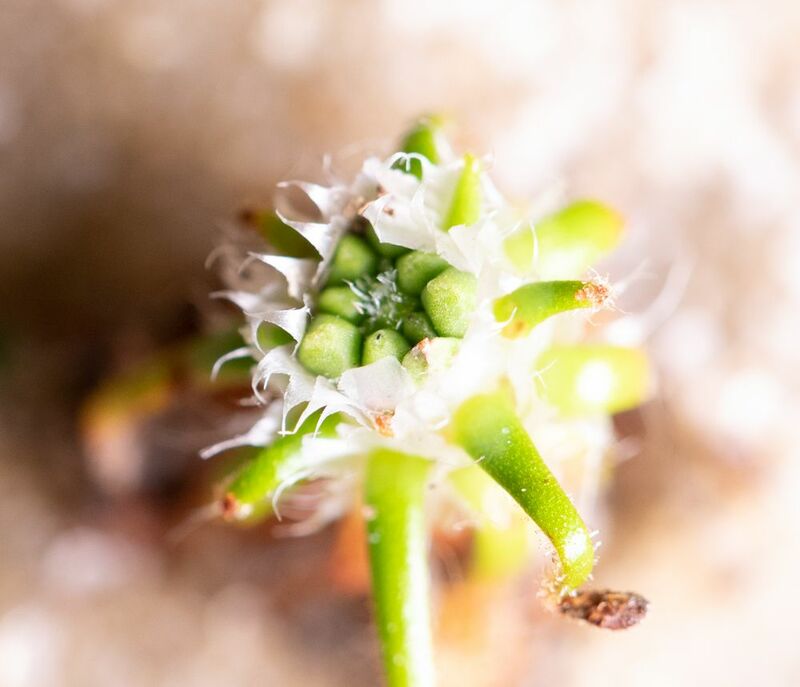 Those are, and still are, gemmae which at this point should be removed; the plant has begun developing typical leaves again from the center meristem which is what is supposed to happen once gemmae production is over.